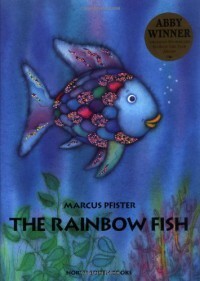 The Rainbow Fish is about a colorful rainbow fish in a deep blue sea with other fishes. The fish learns the importance of sharing and making others happy. I would read this book to a lower elementary grade and teach the students the importance to share. I would refer to my students as the rainbow fish during times of sharing . I would also allow my students to paint the rainbow fish.